Elliott Jamal Robbins casts his protagonist as the embodiment of a boy, circumscribed by the trappings of representation, queerness, and race. 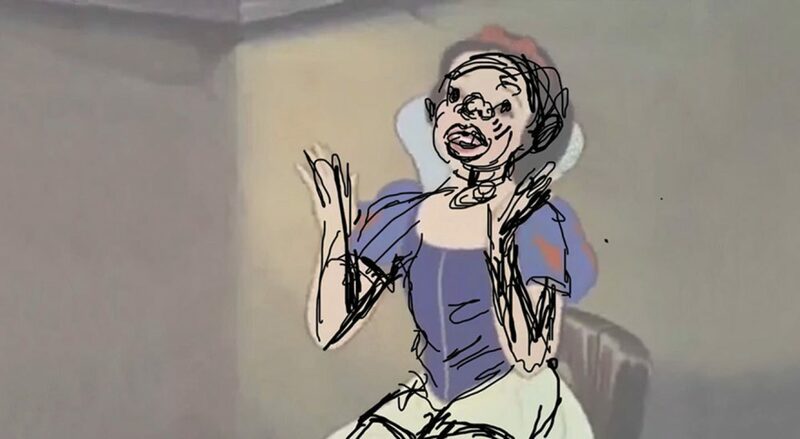 In the film, Robbins fuses a series of frames from Disney’s Snow White with hand-drawn, virtual armature of a black body. The figure claps in silence; perhaps at an audience or perhaps an individual spectator. Robbins creates an ambiguity between subject and identity, and also between viewer and gaze. He writes of his work, “Through the use of appropriated and self-generated imagery and text, as well as the inclusion of the black male cartoon figure, the viewer is presented with a disjointed narrative. The narrative in question is an exploration of the intersection of societal reading of a black body, as well as subject experience, and the dichotomies to be found between.” Robbins is a graduate of the University of Arizona (MFA 2017). He lives and works in Tucson.